News arrives from Okinawa that a retired artist has donated 300 million yen (that’s £1.5 million) to the Zenda Forest Park in Kumejima, Okinawa, to make a Children’s Interaction Centre. He even designed it for them! 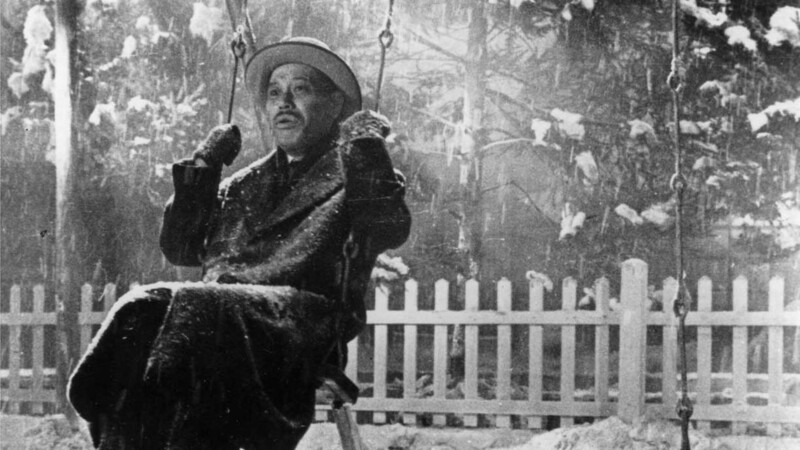 What a kind old man, like that guy in Akira Kurosawa’s Ikiru, who devotes his twilight years to getting some swings in the local playground. It helps that the philanthropist in question is Hayao Miyazaki, and it should come as no surprise that the Zenda park is getting something of a reputation as a home away from home for displaced refugees from the Fukushima disaster. So Miyazaki gets to do some more for the kids, and to return to his trademark ecological themes in a new way. One wonders, perhaps, if the park’s layout might be expected to have a bit of input from his son, Goro, a former landscape gardener whose career in anime has hardly set the world on fire. Miyazaki’s interest in parks and playgrounds has been a recurring feature of recent years. His recently-translated Turning Point devotes more space to discussing the Studio Ghibli crèche than to his latest movie, as Miyazaki exhorts his fellow animators to observe the film’s target audience in their natural habitat. But his studio has also got a park of its own, the famous Studio Ghibli Museum in Mitaka, which generates a movie’s worth of income every year. How does it manage it? Firstly, it carefully kettles its customers, insisting on pre-booked entries to ensure that the staff are neither left short-handed nor idle. Then it promises exclusive experiences, including Ghibli short films that can only be seen at the museum. Then there’s the restaurant and the gift shop… but it’s a much classier affair than your average theme park. Miyazaki and his fellow designers put incredible effort into visualising the experience from a child’s eye view, with pathways that make it possible to wander but never to get lost, and little easter-eggs visible only if you are meter high. The Ghibli Museum and the plans for Zenda demonstrate only too well that Miyazaki truly is one of a kind. You won’t get that sort of treatment from the people who brought you Transformers. Jonathan Clements is the author of Anime: A History (UK/US). This article first appeared in NEO #140, 2015.